SCAREFEST is back and it is set to be more terrifying than ever with two brand new spine-chilling horror mazes. For the first time ever at Alton Towers Resort, brave blindfolded terror as thrill-seekers enter the chilling new hooded maze – The Haunting of Molly Crowe. Molly's house lies empty, but her tormented soul is yet departed. Travel back to Molly's childhood in this theatrical experience that will heighten the senses as you attempt to cleanse the house of evil spirits. Dare to experience Sub Species: The End Games where you'll need your wits about you to race for survival from the post-apocalyptic sewer dwelling community. Choose your own path and work your way through the sewer - your decisions will seal your fate as you find yourself alone in a maze that could take you to many different endings. Also new for 2015 and set in the Sub Species maze, Operation Lockdown is our intense new horror escape exclusively for those wanting to extend their scares into the late evening! With dark confined spaces, this physical and immersive two hour escape room puts you at the heart of your very own horror movie. Strictly for over 18's who have nerves of steel, the experience combines real life gameplay, extreme performance and hands on interaction where destiny is in your own hands. 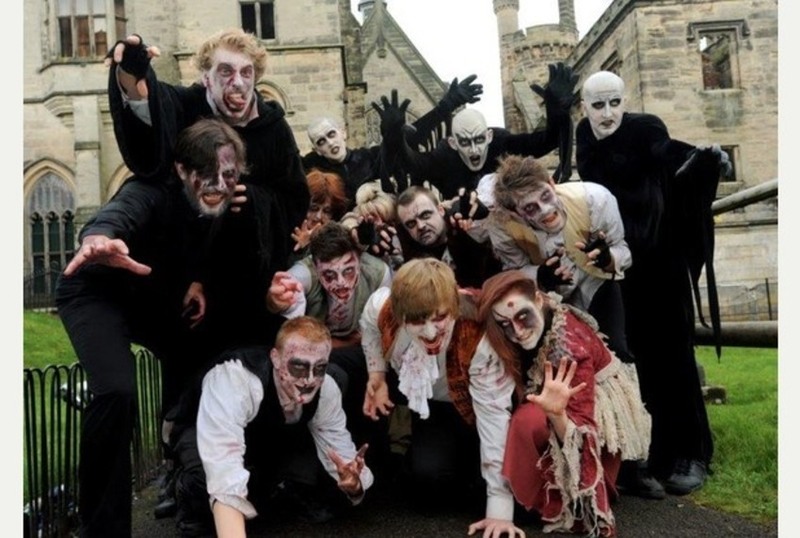 Taking place from 17th October – 1st November the two terrifying new mazes add to the spine-tingling selection of Scarefest horror attractions and mazes. Returning for 2015 is the frightening favourite, Terror of the Towers, What Lies Within. Set inside a new route, it will once again reveal its dark and horrifying secret. Also new for this year are two startling scare zones - The Dark Apocalypse where a deadly virus has infected Forbidden Valley and Nox: Infernus in the Dark Forest, where the underworld rises again. Gill Riley of Alton Towers Resort said; "Our two new mazes are set to make Scarefest more terrifying than ever before for our visitors. "Scarefest is definitely going to be bigger and better for 2015." For brave young visitors there's a chance to learn how to spook with Phil's Ghoul School then meet up with the famous freaky four for more Halloween excitement with Skelvin's Spooky Storytime and Patch's Trick or Treat Party. With frightening family fun and many spine-chilling attractions open until 9pm, there are lots of Halloween horrors to be enjoyed by everyone, including the chance to experience all the amazing rides and attractions in the dark.